When looking to buy or rent a home, having a good credit score is important. A credit score is required to obtain a loan or mortgage, an insurance policy, or residential property. In fact, your credit score will even be reviewed by utility companies, cell phone carriers, and any other service that requires monthly payments. Whenever you borrow money for a purchase – like a home – your lender (also known as a creditor) will expect repayment in full by the end of the billing period, or you will have to pay interest on the outstanding balance. Whether you pay in full or make a payment and carry a balance forward, your lender will keep a record of each reimbursement and whether it was paid on time. These records are sent to one of three national credit bureaus, where it is compiled into an individualized credit history and respective credit score. Most lenders, insurance providers, and landlords will provide a credit check to determine the level of risk that comes with offering an individual their product or service; in other words, they want evidence that you are reliable and capable of consistently paying your financial obligations – such a rent – on time. Therefore, a credit score is required to obtain a loan or mortgage, an insurance policy, or residential property. 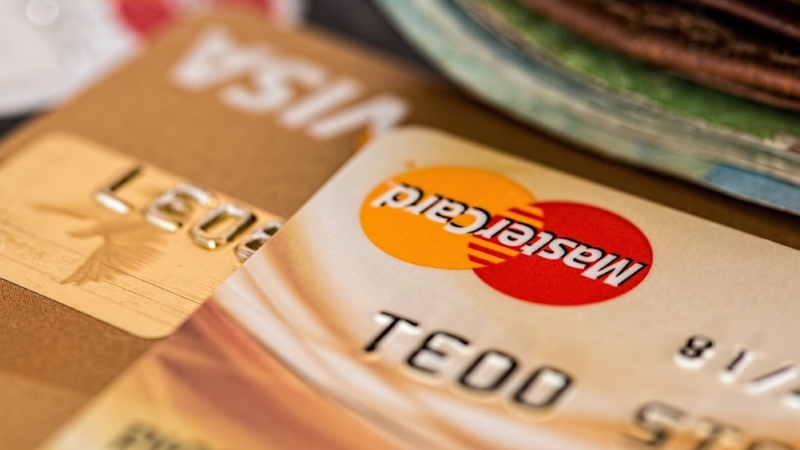 What’s a credit score and how is it determined? Your credit score is a 3-digit number between 300 and 850 that reflects the overall “health” of your credit history and is based off of any payments you have (or have not) made towards past debts. A credit score is determined by an analysis of your credit history (also called a credit file), which is a record of your credit-based finances – things like your payment history, debts, length of credit history/time on file, types of credit used, and recent credit searches. This information is compiled into a credit report which is then used to calculate your credit score. Your credit score will fluctuate based on your financial habits; if you fail to make payments towards a debt on time, it will negatively impact your credit score. A credit score can be considered “good” or “bad” (referring to health). A good credit score is reflected by a higher number, representing the history of consistent, timely repayment towards debt. Conversely, a bad credit score is reflected by a low number, which represents a history of inconsistent/late payment or default. A low, or “bad,” credit score can make it more difficult to obtain future credit, secure an apartment, or obtain insurance. At the very least, creditors will require a larger security deposit or higher interest rate than an applicant with good credit would have to pay. As higher numbers are preferable to low numbers, the higher your credit score, the less risk you pose to your lender and the more likely you are to be approved. There is no set figure delineating between good and bad credit, but most people choose a number between 680 and 720 to delineate between the two. However, this number is just a general guideline as every lender has their own concept of what constitutes good and bad credit. Your creditor provides your personal and financial information to a credit bureau, an organization that aggregates this information into a credit history. There are three national credit bureaus that record all of the country’s credit histories: Equifax, Experian, and TransUnion. To have your credit score determined, you will need a credit history dating back at least six months, your history must have been reported to a credit bureau (by your creditor) within six months of your credit score request, and there must be no open disputes (erroneous information) on your credit account(s) at the time of the request. You can obtain free annual credit reports by putting in a request with the Annual Credit Report Request Service. Although many other providers advertise free credit reports, this is the only certified provider by the Federal Trade Commission. Unfortunately, your credit score will not be included in your free credit report; it must be purchased from each national credit bureau separately. There are private companies that advertise free credit scores, but be careful, as fraudulent advertisements are sometimes common. The importance of your credit score will vary by lender, landlord, or insurer. A bad credit score does not necessarily mean you will not secure the pending agreement; your other credentials may be enough to convince the other party that you are a safe investment. However, a low credit score may determine the rates or conditions offered by your lender. For example, someone with a credit score of 780 will receive a lower APR (Annual Percentage Rate) on their loan than someone with a credit score of 600. The person with the lower credit score poses a higher risk to the lender. Consequently, the lender requires a higher return on their investment and will assign a higher interest rate accordingly. Pay your bills and loans on time. Never skip payments or pay below the minimum amount due. Never borrow beyond your credit limit. Always have some credit available to avoid the appearance of financial difficulty. Review your credit card statements for accuracy and dispute any misinformation with your credit card company. Likewise, request your free annual credit report every year and review it for errors; dispute any misinformation with the credit bureaus. Open a savings and checking account with emergency funds. In an emergency, use funds from these accounts instead of your credit line to avoid accumulating debt. Do not apply for too many credit cards; several credit inquiries over a short period may make it appear as though you are in financial turmoil. Still have questions on credit scores or the home-finding process? Drop us a line!